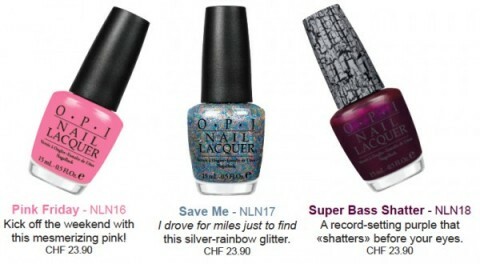 OPI is partnering with music star Nicki Minaj to release a limited edition collection of six bright and bold nail lacquers early 2012. All hues are named after Nicki’s hit songs, including “Metallic 4 Life,” “Fly,” “Save Me,” “Did It On Em,” “Super Bass Shatter”, and of course “Pink Friday”. This collection is definitely not for the shy! The metallic plum Super Bass Shatter lacquer is giving me shivers of anticipation. Is it January yet?